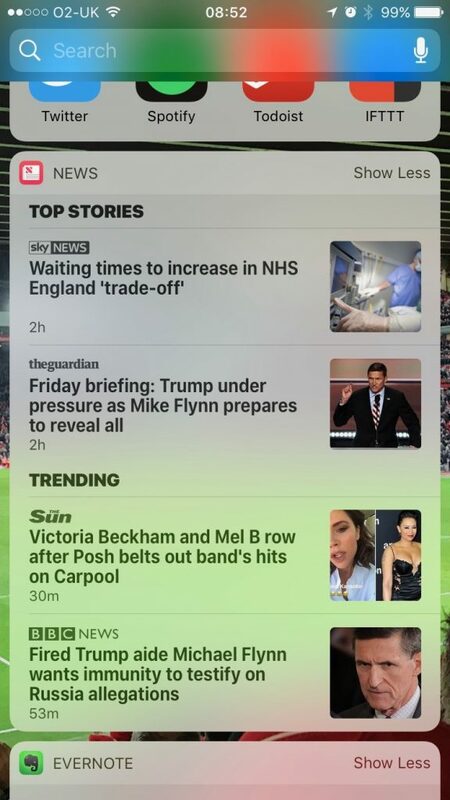 Sick of seeing links to that rag in Apple News? Here’s how to banish them back to the gutter. 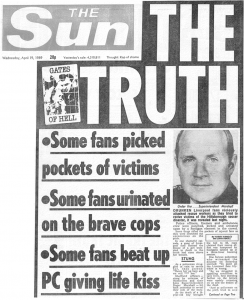 People in Merseyside have boycotted The Sun newspaper ever since it printed a pack of lies about the Hillsborough Disaster on its front page in 1989 and headlined it “The Truth”. Red, Blue or indifferent, to the people of Merseyside the very sight of Rupert Murdoch’s flagship propaganda brochure is offensive and the boycott has spread far and wide. Even its logo is repulsive to those who know the Truth about the part it played in helping the establishment cover up its sins, sins that led to the deaths of 96 innocent football fans. By the time the Prime Minister of the UK was left with no option but to issue an apology in Parliament the Sun was yet to make any kind of meaningful apology of its own and even then was unable to admit to its failings. 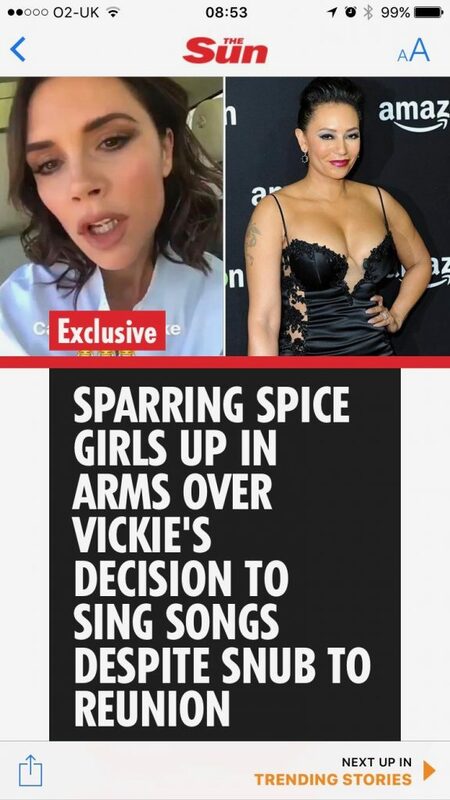 The Sun continues to give its 1989 editor, Kelvin MacKenzie, plenty of column inches in which to continue to spurt his bile, proof for even the most forgiving of souls that the Sun never was sorry for what it did and, with Rupert Murdoch and his cronies still running the show, it never will be. 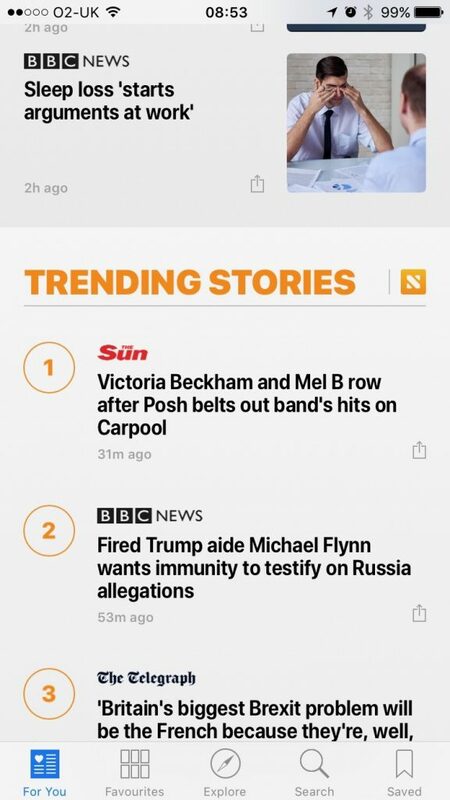 If there really was an appetite to clamp down on fake news all of the major newspaper wholesalers and retailers would stop stocking the Sun right now. 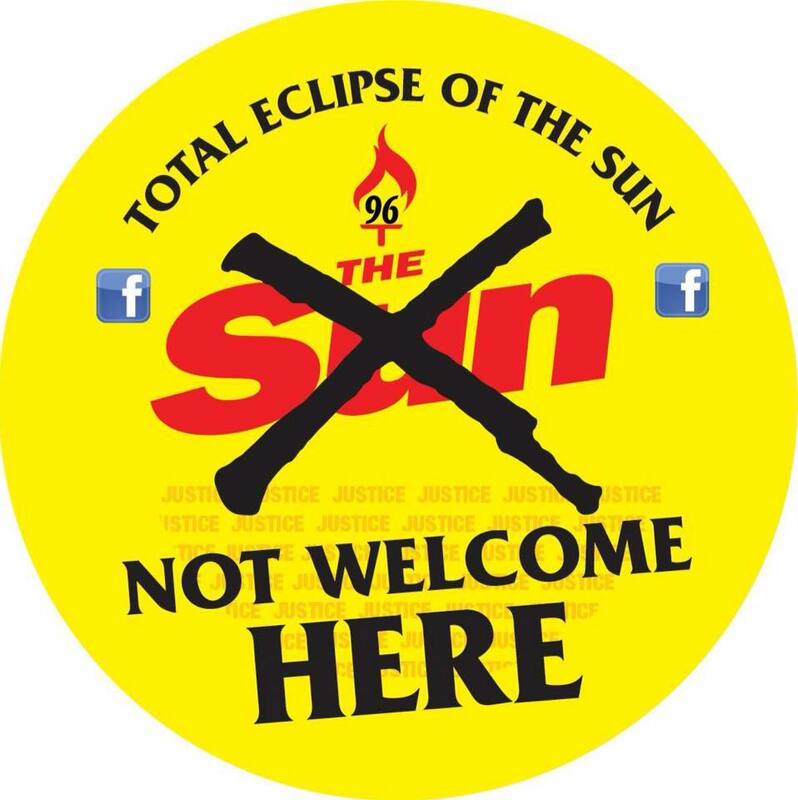 If The Sun and Rupert Murdoch really were sorry then Kelvin MacKenzie would not have been in the position to use its pages to offend people in the city of Liverpool again, at all – let alone on the eve of the anniversary of the disaster he played such a huge part in obstructing justice for. His latest hate-filled rant about Merseyside and the city that stood up to him, thinly disguised as an attack on Everton FC’s Ross Barkley, should see the Blues join the Reds in banning the rag from all of their premises. It better. If billion-dollar tech companies wanted to warn their customers about fake news then organisations like Apple, Facebook and Google would take simple steps to prevent any of the Sun’s articles appearing as “News” in any of their online offerings. For now we have to take it into our own hands and block the Sun out ourselves. 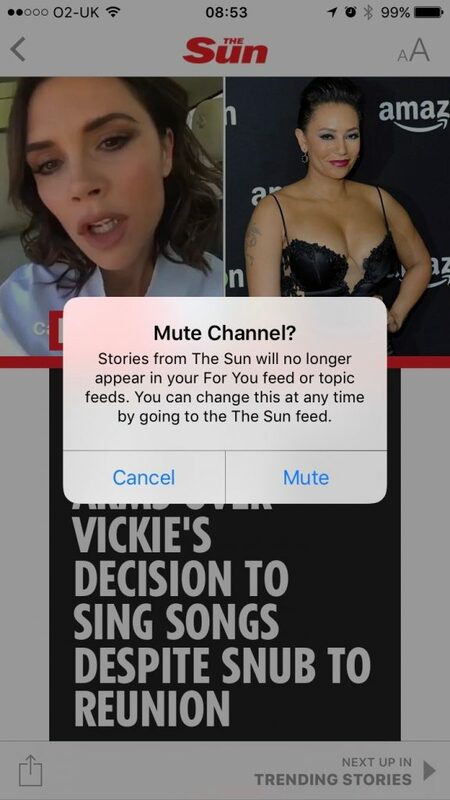 Here’s how to banish the rag from your iPhone if you make use of the Apple News service. 1. 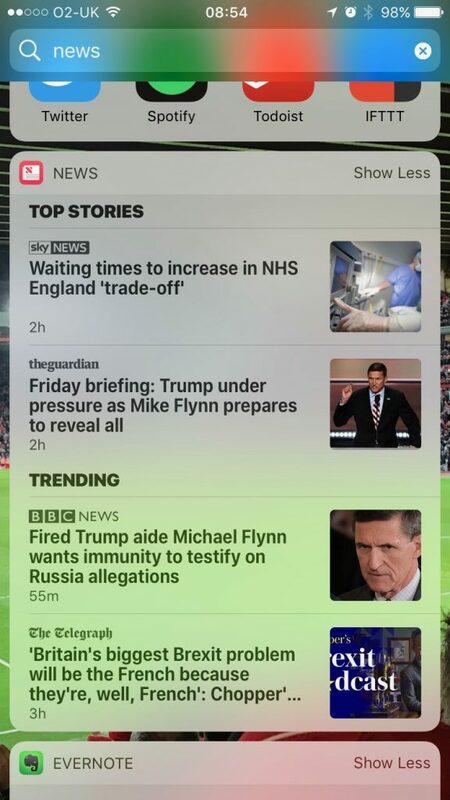 Spot one of the rag’s headlines in Apple News? 3. This is the worst bit. One time only, you are going to have to click on their link. It’s unpleasant, but worth the pain just this once. 4. Now click the sharing icon at the bottom of the screen. From the options that appear, select “Mute Channel”. 5. You’ll be asked if you are sure you want to mute the channel. Too right, of course you do, so press “Mute”. 6. It can sometimes take a couple of hours to eradicate the dogsh*t completely, but eventually it does disappear, meaning that’s one more place where you don’t have to endure the sight of it. Support the campaign: Total Eclipse of The Sun. Don’t forget to block the scumbags on Twitter as well. Brilliant, been looking for a way to stop seeing anything published by this bunch of poisonous b@stards. Cheers.